Health Canada is required to publish a report every year in order to detail how provincial and territorial health care insurance plans have (or have not) satisfied the conditions for payment under the Canada Health Act. Provinces that are not in compliance are to be penalized with a reduced Canada Health Transfer (CHT) payment. This year's report showed that in 2014-15, the only province that received such a penalty was British Columbia. Their CHT payment was docked $241,637, about half of the amount in extra billing a 2012 audit found to have been committed by Dr. Brian Day's Cambie clinic in just one month. It's notable that B.C., the only province docked funds, is also the only province currently seeking to enforce the act by cracking down on Cambie's activities. Physicians and clinics have quietly been charging extra fees for health services for many years, yet calls for the federal government to enforce the Act have been ignored. Coming down hard on extra-billing may not sound as exciting as announcing new funding for specialized medical services, but it is the job of the provincial and federal health ministers to protect the Canada Health Act and guarantee equitable access to Canadian health care. In Ontario alone, the frequency of such charges has grown at an alarming rate and escaped the notice of provincial and federal auditors and health ministers. The Ontario Health Coalition published a report in 2014 listing dozens of instances where independent health facilities (e.g. eye surgery, colonoscopy, diagnostic and executive health clinics) charged extra fees for medical consultations, examinations, diagnostic testing and other manners of "upgraded services." These fees are for services that are covered by the health system. This is otherwise known as extra-billing, a practice that is against federal and provincial law. Despite these contraventions, previous Canada Health Act reports show that Ontario has never been penalized. This year's report has the potential to be more than a quiet committee discussion with no subsequent action. 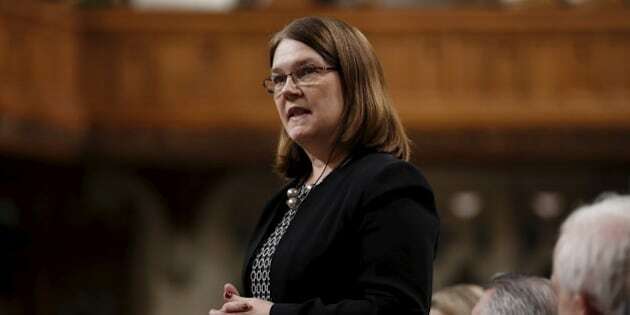 It can be the springboard for Health Minister Jane Philpott to assert her government's commitment to defending medicare, Canada's most treasured social program. Where better to start than reminding Saskatchewan and Quebec's premiers that their recent actions violate the Canada Health Act? In November 2015, the Saskatchewan government voted to introduce pay-per-use MRI services, allowing those who are able to pay to jump the queue and receive priority treatment. Premier Brad Wall argued that implementing a parallel diagnostic system would alleviate wait times, ignoring the evidence to the contrary from Alberta's foray into private MRIs a decade ago. As Wall himself noted in 2009, these clinics violate the principle of accessibility in the Act. By speaking out, Minister Philpott can help to stem the tide of privatization in Saskatchewan's health-care system. The Trudeau government promised real change. That same month, the Quebec National Assembly approvedBill 20. This omnibus bill enables physicians to charge extra fees to their patients for services already insured under public medicare, with no clearly established limits. The fact is many physicians in the province had been charging extra fees to patients for a long time. The government included provisions for extra billing as an amendment in response to pressure from the Quebec College of Physicians. Instead of coming down against extra-billing as was hoped, Minister Barrette worked to normalize the practice instead. Breaches of the Act have never been addressed in Quebec, despite the admission of physicians instituting user fees and extra billing and calls to stop this practice from Quebec organizations such as Médecins Québécois pour le Régime Public and Fédération des Médecins Omnipraticiens du Québec. User fees, access charges, extra billing all come down to the same thing -- inequitable access to Canadian health care. Charging patients at the point of care for medically necessary services strikes at the heart of the principle that access to health care should be based on need rather than ability to pay. It undermines equity, increases system costs and reduces public commitment to universal coverage. The Trudeau government promised real change. As an acclaimed physician and Canada's Minister of Health, Minister Philpott has an opportunity to take a new approach to defending Canadian health care by sending a strong statement to the provinces that they must adhere to the Canada Health Act. It is time for Minister Philpott to show there is a doctor in the House and take action to ensure medicare will be there for all Canadians in their time of need.